To create, or to curate, that is the question. 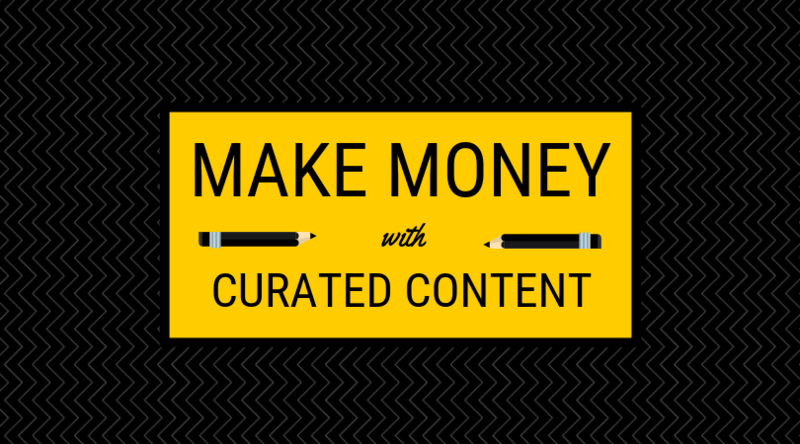 A major part of the blogosphere is concentrated around content creation, for obvious reasons. But with sites like The Huffington Post, we have seen the content curation market taken by storm and a completely new niche and need is identified in the content consumption market. Enter content curation. These websites provide added value for their readership and in this post we will be listing some of the best content curation websites out there – from WordPress news to travel blogs – sites that we love and are sure that you will too. WP News Desk is a one-stop site to get all your WordPress news. We didn’t pick WP News Desk to be the first entry on this list because it’s a WordPress blog. It is the first entry because it is such a great website that it would be an injustice not to start the list with it! Always on the lookout for the latest and newest from the WordPress community? It’s hard to get it better anywhere other than the WP News Desk. Everything about the website speaks professionalism and authenticity. The grey background and black text on white provides for a very comfy and immersive reading environment. The site is quick, responsive, and easy to navigate through on any device. The content on the website is simply a delight! Personally speaking, there is yet to be an instance where I am in search of something and cannot find it on WP News Desk. It’s one of those sites that you check every morning next to your mail if you are a WordPress enthusiast. WP News Desk is a project by Mark Zahra of the WP RSS Aggregator team. We highly recommend giving it a whirl – you won’t be disappointed! Looking for tech-related information? Slashdot.org is the answer! I’ll confess I was a computer nerd long before WordPress came out. Slashdot.org is the perfect go-to website for all of you who share a passion for learning everything tech related, from NASA news to updates on major programming and development platforms, packed in a nerdy-looking forum environment. Navigating through the site is very convenient with all categories available in the easily accessible navigation bar. Since the website is in a forum format, you can find on-going conversation under every hot topic. Slashdot.org’s community is friendly and overall the forums are loaded with informative content. UpWorthy is definitely worth checking out! If by now you are feeling that this list is getting too techy and that we do need to connect with our other interests as well, no need to worry. UpWorthy is a great contender for your daily dose of world news while looking the part with its contemporary visual appeal. Would you like to know about a human library? Or maybe how small things make major differences to the world? There is definitely something you can find that piques your interest in the diverse classification of categories that the site has to offer, and these sections being simple and easy for finding your desired content, ups the worthiness. Is it worthy of your time? I’d up vote that! Travel Blogger Community for travel enthusiasts. Calling all travel enthusiasts! We have a treat for you in the form of the well-known Travel Blogger Community – one of the greatest online pools of travel news from some of the best bloggers across the globe. Those of you who live to travel know that preparation is the key to a successful, enjoyable and, for the more adventurous of us reading this, safe trip. And what better way to prepare for such a trip than by looking into the first-hand narration of a fellow traveler and their experience of the trip? You can learn about the best places to visit, best seasons to visit a particular site, and the customs and norms of places most exotic from your current location. You can read the stories of people travelling to different parts of the globe and even find helpful tips about travelling in general. Even if you aren’t planning on travelling anytime soon, it is still a pleasant trip just browsing through the site and learning about the world (maybe a relaxing unwinding after a long day of work). A great community and a great site – we definitely recommend that you take a moment to check it out. If you are looking for a more newspaper-esque feel for your daily information provider then The Wall Street Journal can deliver you just that with a premium-looking design. The site will feel right at home to audiences of The Huffington Post, but there is also a prominent difference in the design and presentation of both sites. The Wall Street Journal site is very crisp looking with graphs and numbers right on the homepage that are strategically placed with the intent of providing you an overview of the market in a single corner and navigation bar. The site also filters news according to your region so you get news most relevant to your geographical location delivered first and there is easy navigation for users to access all content effortlessly. Listly’s a great site to discover and create lists. Lists are all the rage these days and rightly so. Lists are easy to follow, to the point, and summarize information in a way that makes for faster utility. List.ly isn’t only a place where you can find lists but you can also create a list and share it with your friends or blog’s viewership, as well. The site’s Trending section is a great place to find the best lists around. Best children books or the best folding bikes – take your pick and you will be completely immersed in the heaps of content that List.ly has to offer. It is fairly easy to navigate through and the light colors are easy on the eyes for long browsing sessions. DeadSpin’s got you covered in the sports department. We have not forgotten about our sports loving audiences! Walking straight up the ring is our next contender! Packing in tons of content, fast, and responsive with a comedic twist in its narration, this is DeadSpin! A site full of sports news set in a great, humorous way for its audience to enjoy. Whether it is basketball, the UFC, or cycling, you can find news about your favorite sport on this site. DeadSpin has a very minimalistic design and is clutter-free. There is no crazy amount of buttons slapped on the front, in fact, there are only two: related blogs button and a search button. All the flair lies in the content of this site which is a good thing because that is what the site is on this list for – its great content! Do you regularly visit any of the content curation sites on our list? Do you have a great content curation site that you would like to share with us? We would love to hear about it in the comments below! Thanks for sharing above list to share content online. All above website were nice. Awesome list!